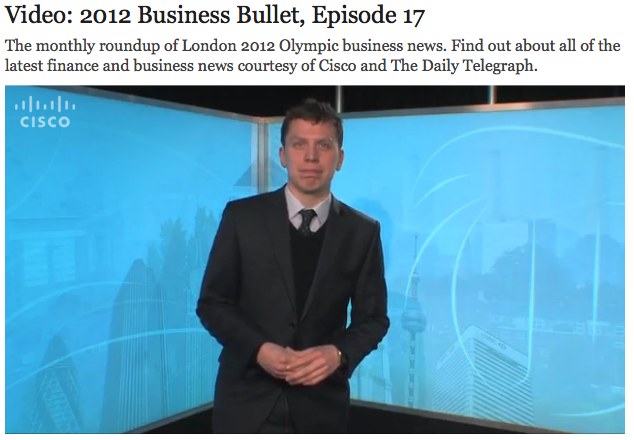 The Daily Telegraph website includes a Vodcast titled, “Business Bullet.” On this program, an anchor discusses the latest city and business news in a program-style format. Clips are short to serve web users more effectively. This entry was posted on Thursday, January 19th, 2012 at 1:34 pm and is filed under MULTIMEDIA EXAMPLES, VIDEO. You can follow any responses to this entry through the RSS 2.0 feed. You can leave a response, or trackback from your own site.